Kitspins | KiTspins 30/30 challenge! Happy Fall!!! The leaves are changing, the air is crisper and we are coming up to the most delicious time of the year! To celebrate this time and the beautiful transformation of my body, I will be packing on the baby/winter weight! But my body needs a healthy balance of nutrition AND exercise. I have decided to do a 30/30 chalenge! Will you challenge yourself with me? 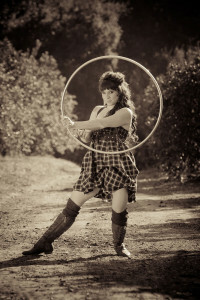 For 30 days, 30 minutes a day, grab your hoop, poi, staff, wand, or any apparatus that you love. Discipline yourself. Give your body this healthy balance of exercise. That way you don’t feel so bad when you dive face first into those Thanksgiving pies!! Do you have an instagram?! Please tag @kitspins AND #3030kitspinschallenge with your videos! I’d love to see your work! Excellent! I needed a challenge. When is the official day #1? Enjoy the next transformative 30 days! !